ERE Homes welcomes this spacious 3 bedroom villa for rent today. The villa is well located, well finished and always popular with the springs community residents. With a well planned type 3E with 2200 sqft living area complemented by well-sized bedrooms, this villa provides excellent living and entertainment. Enter from the hallway and through to a spacious living area offering plenty of light and excellent views of the garden both back and side of the property. A separate study, laundry and washroom to the ground floor. Closed fitted kitchen with ample storage and work surfaces. Upstairs to a generous master bedroom with built in wardrobes and en-suite bathroom. Balcony with views of the garden. Two further double bedrooms also with fitted wardrobes and a shared bathroom. Impressive gardens to 2 sides of the property. Viewing essential. Every Springs Dubai property gives residents the feeling of tranquility and luxury. With each villa constructed around the beautiful lakes, the residents are able to enjoy the gentle sound of waters and take in the scenery and gardens. More importantly, they are also able to commune with nature, which is not typical of other residential units especially compared to towers and apartments buildings. There are scenic waterways and lush landscaping make a perfect environment for young families and couples. With the busy life in the city, it is always great to come home to a place where there is peace and relaxation and where the members of the family await, even a short swim at night or a feast in one of the finest restaurants that offer world-class cuisines nearby. These families can always look forward to weekends after attending to the demands of their work on weekdays. They can work out together in the fitness center or have a long walk or jog at the park to promote a healthy and active lifestyle among family members. They can even hold friendly sports competitions among their neighbors. The children, on the other hand, can take pleasure in their own territory, the play area. There is absolutely something for everyone to enjoy and take pleasure in at the Springs community. Even during the night time, they can sleep well without worrying about their properties' safety because The Springs Dubai is a gated community and provides a 24-hour security service. Springs Dubai also offers access to on-site facilities, such as spas, parks, gyms, swimming pools and nurseries. It has a wide variety of grocery stores, shopping arcades plus community centers. 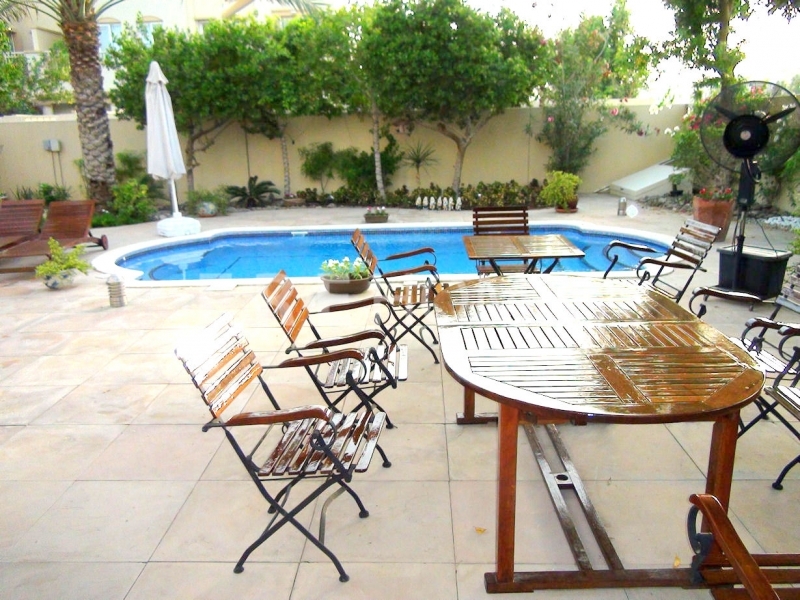 Spring Dubai villas, on the other hand, provide the much-needed space for small or big families. It illustrates the best architectural designs and landscapes to be found in Dubai. This is in itself a pride for every owner or tenant.